Graham Farmelo is a fellow of Churchill College at the University of Cambridge, UK. His latest book is The Universe Speaks in Numbers. Quantum mechanics is perhaps the most successful theory ever formulated. For almost 90 years, experimenters have subjected it to rigorous tests, none of which has called its foundations into question. It is one of the triumphs of twentieth-century science. The only problem with it, argues Lee Smolin in Einstein’s Unfinished Revolution, is that it is wrong. In this challenging book, he attempts to examine other options for a theory of the atomic world. Smolin’s book is in many ways ambitious. It goes right back to square one, introducing quantum mechanics at a level basic enough for high-school science students to grasp. He points out that the field gave a truly revolutionary account of the atomic world, something that had proved impossible with the theories (retrospectively labelled ‘classical’) that preceded it. The mathematical structure of quantum mechanics arrived before physicists were able to interpret it, and Smolin gives a clear account of subsequent arguments about the nature of the theory, before finally setting out his own ideas. For me, the book demonstrates that it is best to regard Smolin as a natural philosopher, most interested in reflecting on the fundamental meanings of space, time, reality, existence and related topics. James Clerk Maxwell, leading nineteenth-century pioneer of the theory of electricity and magnetism, might be described in the same way — he loved to debate philosophical matters with colleagues in a range of disciplines. Maxwell’s way of thinking had a profound impact on Albert Einstein, who might also be considered part natural philosopher, part theoretical physicist. Like Einstein, Smolin is a philosophical ‘realist’ — someone who thinks that the real world exists independently of our minds and can be described by deterministic laws. These enable us, in principle, to predict the future of any particle if we have enough information about it. This view of the world is incompatible with the conventional interpretation of quantum mechanics, in which key features are unpredictability and the role of observers in the outcome of experiments. Thus, Einstein never accepted that quantum mechanics was anything but an impressive placeholder for a more fundamental theory conforming to his realist credo. Smolin agrees. He conducts his search for other ways of setting out quantum mechanics in language intelligible to a lay audience, with scarcely an equation in sight. Smolin is a lucid expositor, capable of freshening up material that has been presented thousands of times. Non-experts might, however, struggle as he delves into some of the modern interpretations of quantum mechanics, only to dismiss them. These include, for instance, the superdeterminism approach of the theoretician Gerard ’t Hooft. The book is, however, upbeat and, finally, optimistic. 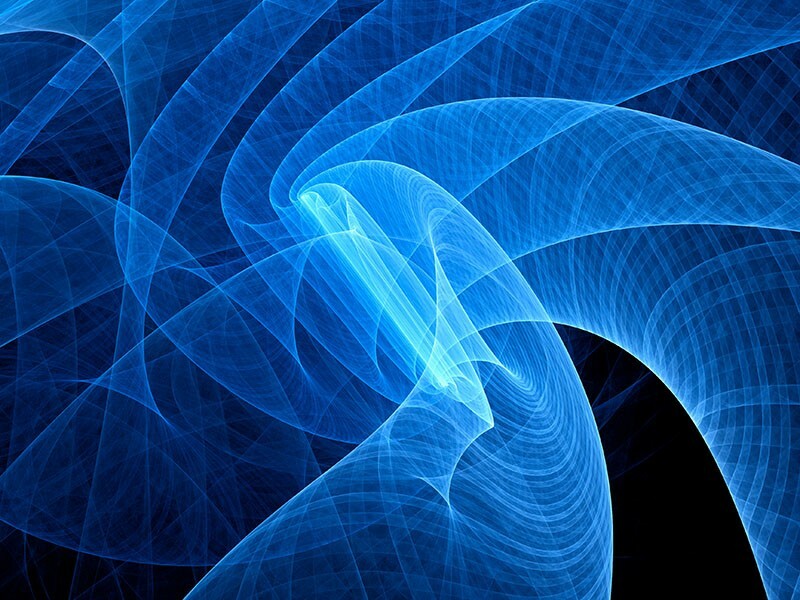 Unapologetically drawing on historical tradition and even modern philosophy, Smolin proposes a new set of principles that applies to both quantum mechanics and space-time. He then explores how these principles might be realized as part of a fundamental theory of nature, although he stops short of supplying details of the implementation. Smolin concludes with the implications of all this for our understanding of space and time. He suggests that time is irreversible and fundamental, in the sense that the processes by which future events are produced from present ones are truly basic: they do not need to be explained in terms of more basic ideas. Space, however, is different. He argues that it emerges from something deeper. Yet it is far from clear whether Smolin’s new methods allow space and time to be investigated effectively. In recent decades, there have been many exciting advances in this subject, almost all made using standard quantum mechanics and Einstein’s theory of relativity. In my opinion, Smolin downplays the extraordinary success of this conservative approach. It is the basis of modern quantum field theory (a descendant of Maxwell’s theory of electricity and magnetism), which accounts for the results of all subatomic experiments, some of them to umpteen decimal places. Despite the impression that Smolin gives, modern theoretical physics is thriving, with potentially revolutionary ideas about space and time emerging from a combination of the standard quantum mechanics and relativity theory taught in universities for generations. Maybe the upheaval in physics that Smolin yearns for is simply unnecessary. Rewarding as it is, I doubt Einstein’s Unfinished Revolution will convert many of Smolin’s critics. To do that, he will need to present his ideas more rigorously than he could reasonably do in a popular book. One thing on which every physicist in Smolin’s field can agree is that there is a crying need for more juicy clues from nature. There have been no surprises concerning the inner workings of atoms for some 20 years. It is experimental results that will decide whether Smolin is correct, or whether he protests too much. After all, although quantum mechanics might not satisfy the philosophically minded, it has proved to be a completely dependable tool for physicists — even those who have no interest in debates about its interpretation.